Mass spectrometry (MS) along with its hyphenated techniques is capable of high throughput, sensitivity, accuracy and selectivity for the analysis of structure and composition of almost any product. Like in electrophoresis, MS separates mo- cules based on the mass-to-charge ratio. In case of gel electrophoresis (SDS- PAGE), a well-known and efficient bioanalytical technique, proteins bear negative charges but have the same charge density, so proteins are separated according to their size. Similarly, in case of MS analysis, proteins carry the same charge, and are separated by their molecular weight. Unlike SDS-PAGE, however, modern ultra high resolution MS discerns very small mass differences and can resolve and completely identify in a single experiment species of the same nominal mass in complex biological mixtures. 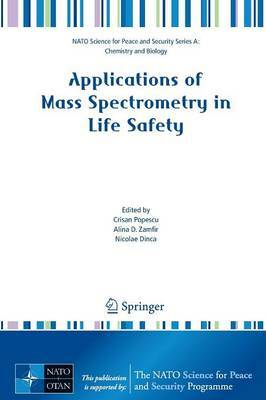 Consequently, MS can be used for the structural characterization, identification and sensitive detection of mixtures of biomolecules or for assessing the quality of isolated proteins (purity, integrity, or post-translational modifications, for example), carbohydrates, nucleic acids, drugs, metabolites, pollutants etc. In the post-genome era, MS is continuously developing as one of the most re- able analytical method for elucidating the structure of molecules originating from various biological matrices. The potential of MS for high-sensitive structural a- lyses became unsurpassable after the introduction of electrospray (ESI) and matrix assisted laser/desorption ionization (MALDI) methods, on one hand, and the pos- bility to deduce in detail unknown biopolymer structures by highly accurate mo- cular mass measurement followed by sequencing using dissociation techniques based on multiple stage MS, on the other.